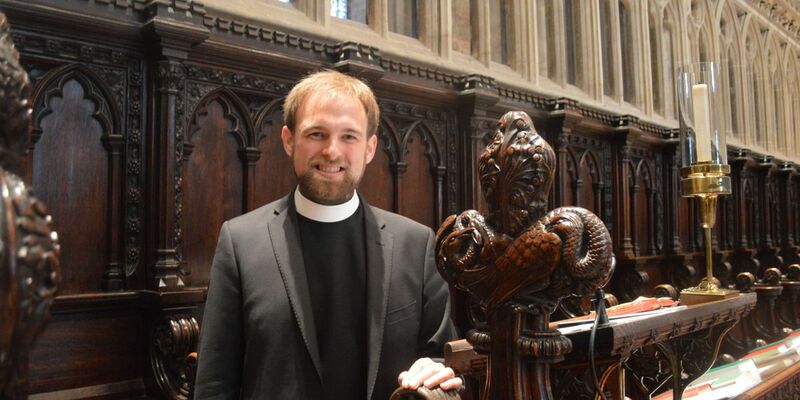 Revd Max Kramer was installed as the new Precentor at Canterbury Cathedral during Choral Evensong on Saturday (10 June 2017). As Precentor Max is responsible for organising the Cathedral’s worship and is a minor canon and member of the Cathedral Foundation. During Evensong he was licensed by the Bishop of Dover, the Rt Revd Trevor Willmott and installed by the Dean of Canterbury, the Very Revd Dr Robert Willis. While at Cambridge Max studied the Theology & Religious Studies Tripos and an MPhil in Old Testament at St John’s College. Since then he has taught Hebrew, Greek, Latin, Old Testament, and Greek Literature to Cambridge classicists and theologians. Max was also founder and co-convenor of the research seminar Being Jewish, Writing Greek, which explores the Greek literature of the Hellenistic and Imperial Periods that was written by Jews, and is organising a conference on this subject in September 2017. Max enjoys music-making and plays the piano, organ, and trumpet, and has sung in a wide variety of choirs.